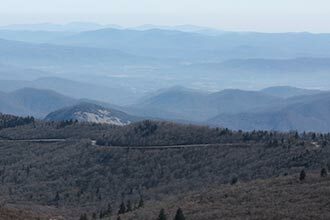 A pilgrimage no southern hiker should miss, even if you don’t have the time and ability to take on the Appalachian Trail in its entirety, Springer Mountain is within reach. 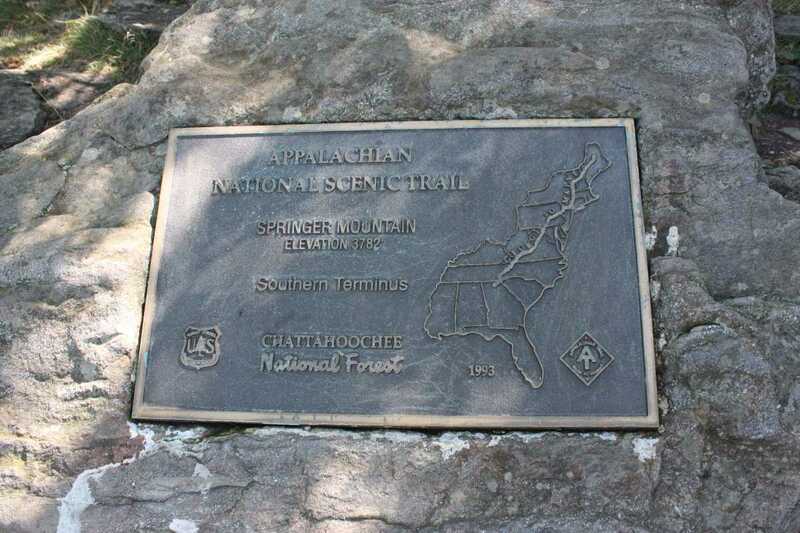 While some northerners think the trail begins in Maine, we in the South know the AT starts here in Georgia atop Springer Mountain. 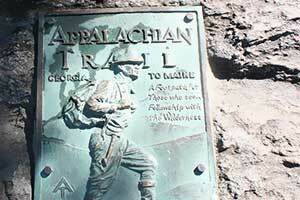 Springer Mountain marks the beginning for most thru-hikers of this epic trail. 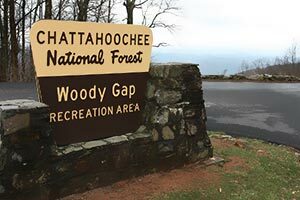 To begin the loop and head to Springer Mountain first, head toward the end of the parking lot to the left, away from the information signs. 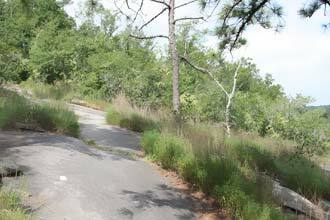 A short trail leads downhill to cross the road. If you wish to travel the loop clockwise, walk past the information signs to the AT heading north. The trail begins to ascend gradually, with a couple moderate sections thrown in for good measure. 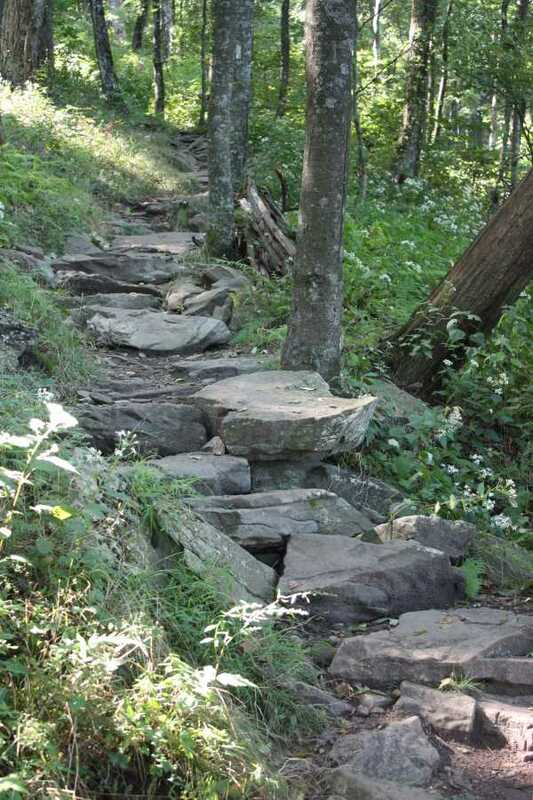 This section of pathway is very rocky and many times forming stone staircases; however, for the most part it is easily travelled. On the left in the warmer months are several types of wildflowers. Possible winter views on the right side. 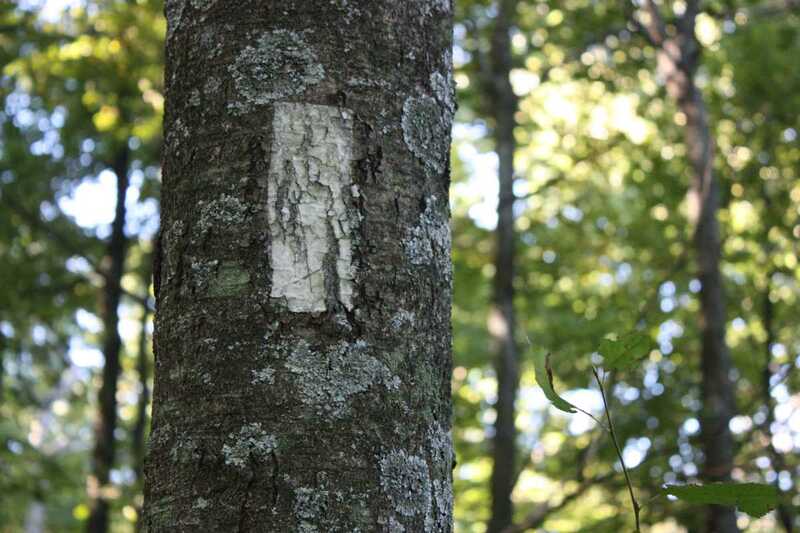 At .7 miles, the first junction of the Benton MacKaye Trail and the Appalachian Trail is marked with several signs; you should have no problem continuing on the AT toward Springer. 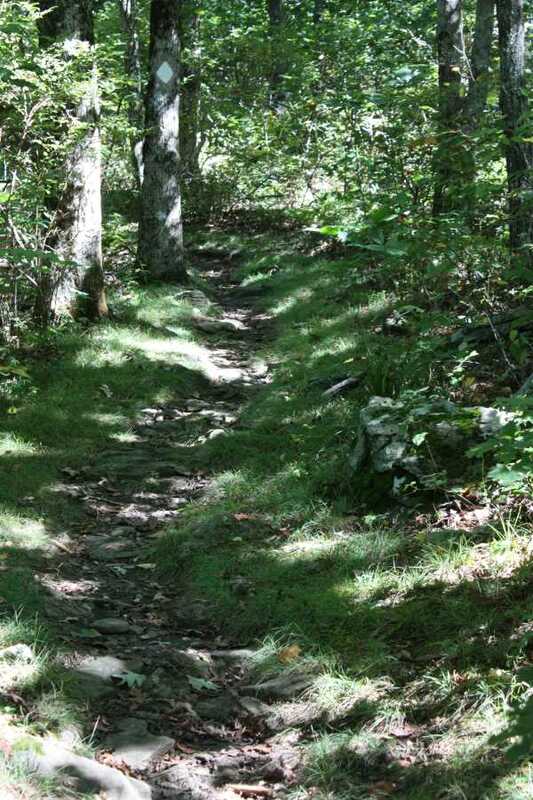 Shortly after this, another side trail to the left leads to several campsites, a shelter, and available water. Backpackers are encouraged to stay in this area as opposed to staying the night directly on Springer due to high Bear Activity in the area. Near the shelter are bear cables, as well as two privies. 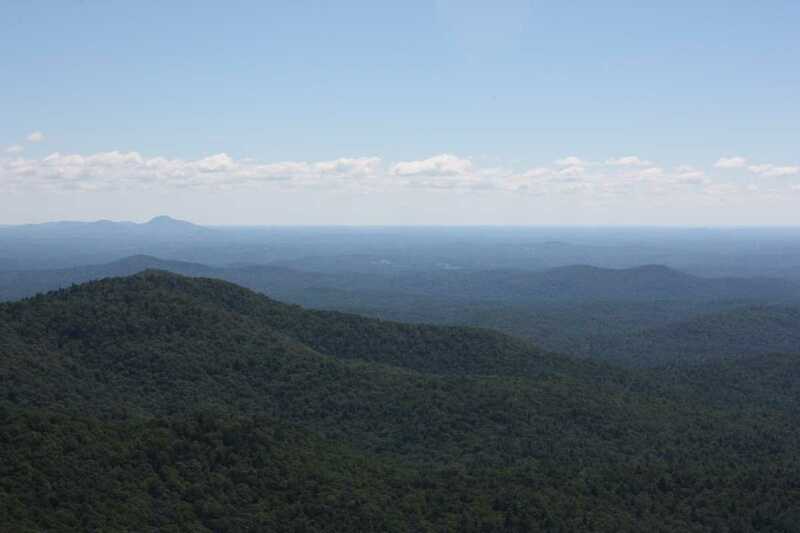 Once you reach the top of Springer Mountain, you will immediately notice the view to the West. 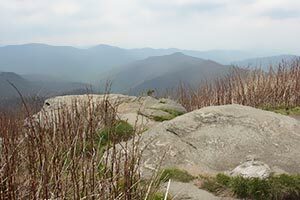 The summit is mostly tree covered and doesn’t offer expansive views but the view is still worth the short hike to the top. 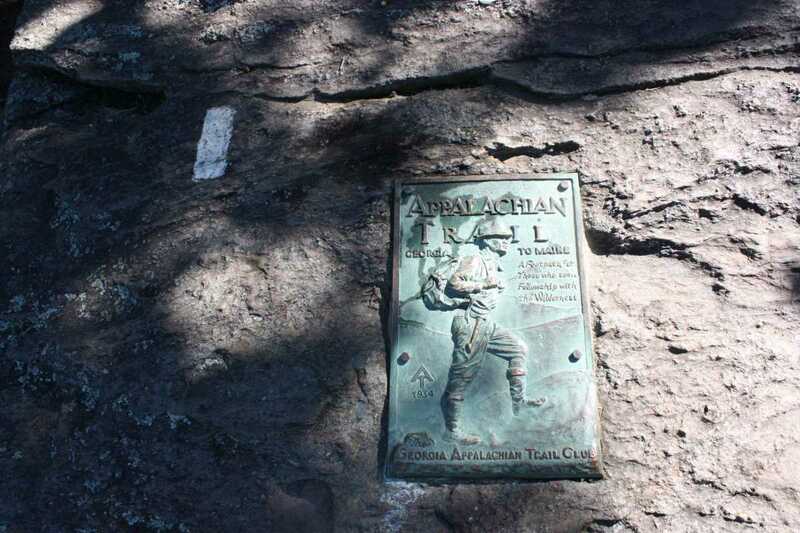 Look for the two bronze plaques and the metal box containing the hiker log. 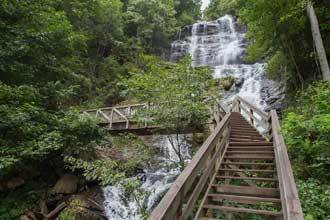 On the other side of a large, gnarled tree lies the approach trail from Amicalola Falls State Park. During nice weather, expect to have a lot of company. 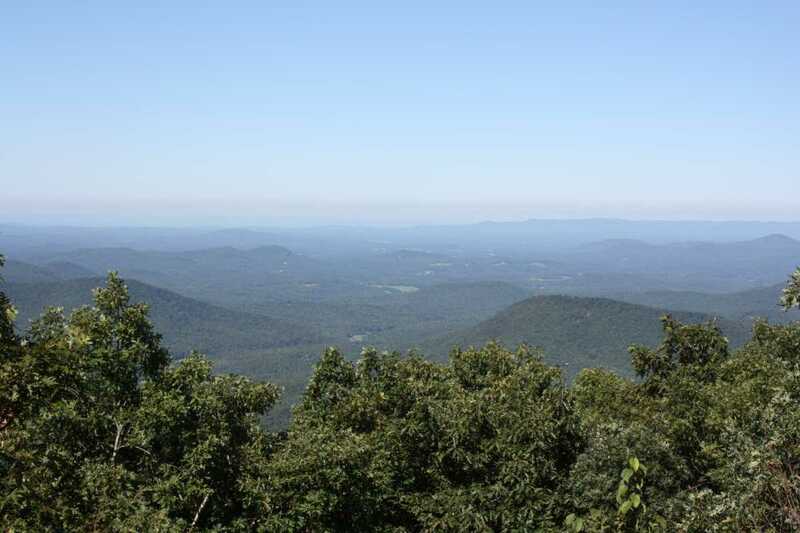 After taking in the view, head back up the AT to the junction with the BMT. Immediately you will notice a difference. 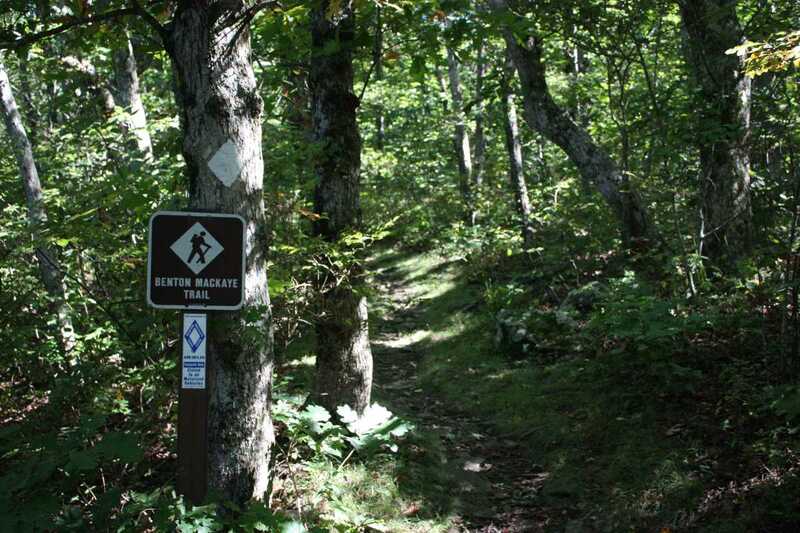 The Benton MacKaye Trail feels much less travelled; grass and moss cover the trail verses the rocky path you just took to the summit. 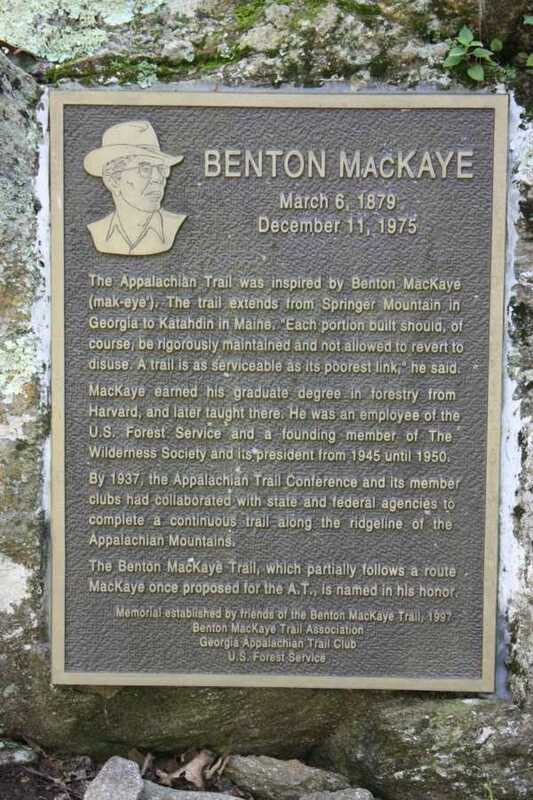 After a couple hundred feet, look for the bronze marker honoring Benton MacKaye and the trail itself to the right. 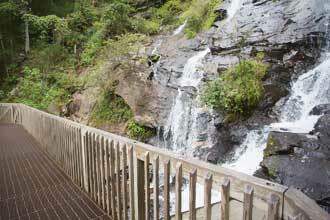 At mile 2.8, take the side trail to the right marked by a sign simply stating “view”. This vista, looking to the south is less obstructed by trees than the one on Springer, as well as less obstructed by people. From here it’s all downhill to the second road crossing. 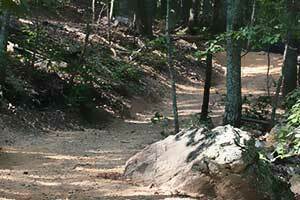 On the other side of the road, the BMT transitions to a narrower, less maintained trail that can be muddy in places. 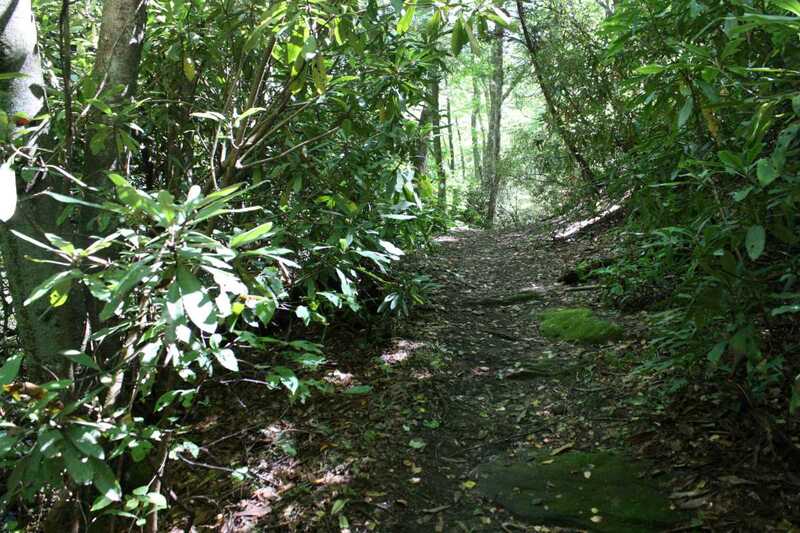 Travelling through rhododendron thickets, the trail crosses three small creeks, all of which are easily crossed without getting wet. Just be careful on the rocks, many are lose, wet, and covered in moss. 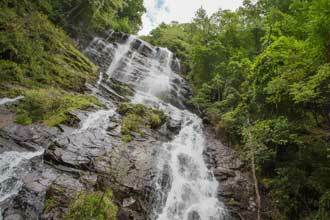 Along this section the gentle tumbling waters provide relaxing background music. At 4.5 miles the trail meets with the AT again. Turn left and head down the remaining .3 miles back to the parking lot to complete the loop. A few sections on the trail are rocky. Watch your footing and be mindful of lose rocks. 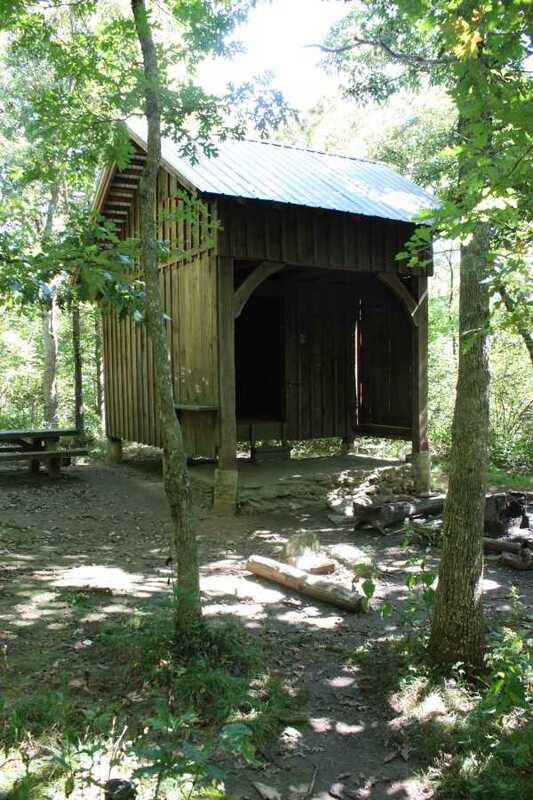 The same goes for the three creek crossings. 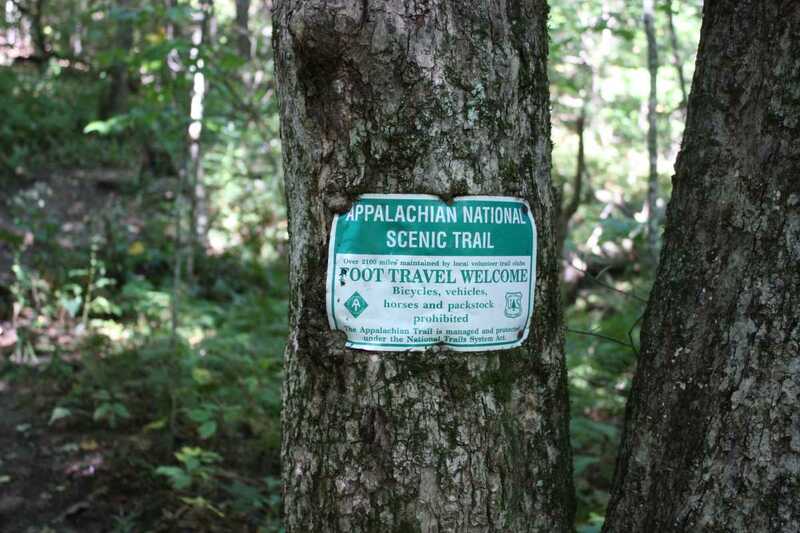 Walk the first steps of both the Appalachian Trail and the Benton MacKaye Trail on this easy to moderate loop. A few great views and some small creek crossings. 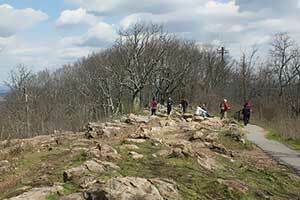 This is the best day hike to visit Springer Mountain.